I have been, for some time, working my way rather slowly through Coolidge by Amity Shlaes. She has convinced me that Coolidge was certainly one of the better human beings to have ever held the Presidency. 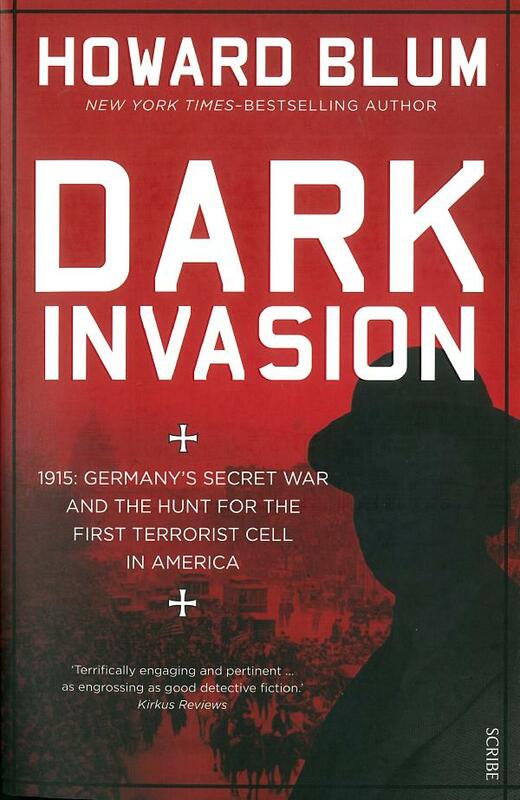 The book absorbing most of my attention at the moment is Dark Invasion: 1915: Germany's Secret War and the Hunt for the First Terrorist Cell in America by Howard Blum. The war in Europe went on for about three years before the United States entered and during our time as a neutral we were a major supplier, mostly on credit, of munitions to the Allies. Consequently Germany engaged in a major sabotage effort here. Much of the responsibility of countering the German spy ring fell upon the NYC police bomb squad. This was an aspect of the war I knew little about and the book is both entertaining and informative. Another that I am about halfway through is The Men Who Lost America by Andrew Jackson O'Shaughnessy (great name). About the other side in the War for Independence, it has chapters about the British political leaders and military commanders, including George III (who was a rather nice guy), Lord North, Clinton, Burgoyne, the Howe brothers, etc. It makes clear that Britain never had sufficient military force on this side of the Atlantic to accomplish their goals, and probably lacked the political will, as well. Next on my list — not yet begun — is Dead Wake: The Last Crossing of the Lusitania by Eric Larson. Larson authored In the Garden of Beasts: Love, Terror, and an American Family in Hitler's Berlin which I very much liked. He is also the author of The Devil in the White City: A Saga of Magic and Murder at the Fair that Changed America about the 1893 Chicago World's Fair and H.H. Holmes who may have been America's first serial killer. Holmes ran a rooming house in Chicago during that fair and many of his female roomers were never heard of again. There are so many interesting and/or worthwhile things to read that I sometimes feel guilty about the amount of time I spend online. Warmer weather and the call of the patio may result in more book reading.